Steve Griffin | The Salt Lake Tribune Former Gov. Mike Leavitt speaks during ceremony where the State renamed the DWS building, background, in honor of former Gov. Olene Walker, who 20 years ago led an effort to make Utah the first state to consolidate employment and public assistance programs. The 20th anniversary event featured Gov. Gary Herbert, DWS Executive Director Jon Pierpont and Nena Slighting (daughter of Walker) in Salt Lake City Thursday June 29, 2017. Utah’s use of roughly $75 million in federal funding for needy families lacks oversight and performance standards, according a legislative audit released Monday. The Office of the Legislative Auditor General reviewed state contracts under Temporary Assistance for Needy Families, or TANF, and found that many of the programs selected for funding appeared to have been chosen arbitrarily, and without defined goals or a standard for evaluating success or failure. Roughly a third of Utah’s funding is used to employ counselors, who work with low-income families on achieving self-sufficiency. But those cases, overseen by Workforce Services, are tracked based on the ability of agency counselors to close a case when the family no longer receives assistance. Auditors say that doesn’t account for the same family returning later for assistance, which can’t legitimately be labeled a success. 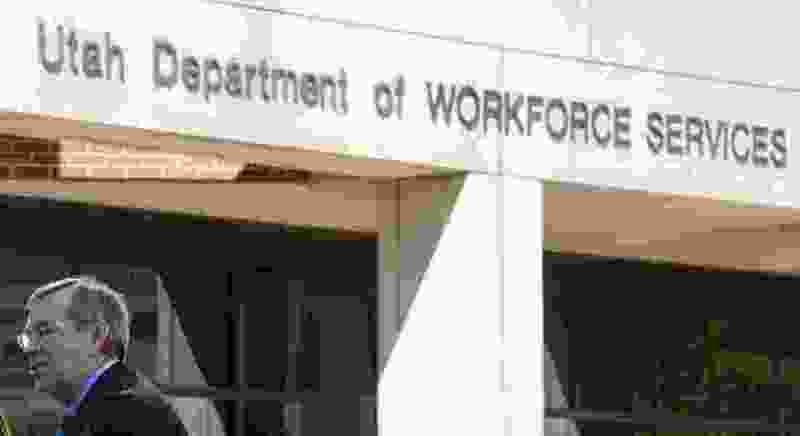 At a hearing at the state Capitol on Monday, Department of Workforce Services Executive Director Jon Pierpont committed to a swift response on the audit’s recommendations. DWS was credited in the audit for improving its budget and financial controls in recent years, including the hiring of new finance staff and the implementation of new politics and reporting standards. The audit also describes Utah’s TANF programs as among the top-performing in the nation. But 11 out of the 24 contracts reviewed by auditors did not include the basic rationale for why TANF funding was being awarded, and DWS “struggled to clearly identify programs that receive TANF funding." Auditors issued a series of recommendations, including that DWS track assistance recidivism and post-employment outcomes, and that contracts approved for funding include specific goals related to receipt of assistance. Members of the Legislative Audit Subcommittee responded positively to the department’s current leadership. House Speaker Greg Hughes, R-Draper, complimented Pierpont for the work he and his staff has done on Operation Rio Grande, a multipronged law enforcement and state assistance effort to combat homelessness in Salt Lake City. The work of Pierpont and DWS related to the operation, Hughes said, goes “above and beyond” what is typically asked of Utah’s department heads and state agencies. Pierpont told lawmakers his department agrees with auditors' recommendations, and that corrective action has or will be taken regarding the audit’s findings.